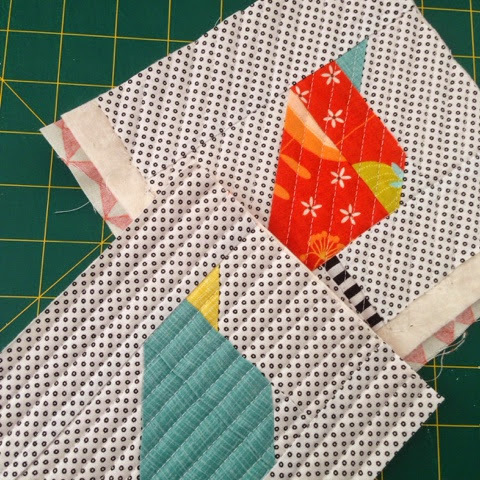 After finishing a big quilt, a quick little project is always nice, don't you think? I was playing around on Pinterest and saw some cute improv mug rugs. I followed the link which led me to Flickr. I read the comments, which led me to an image drawn and colored in on paper. The old brain ticked over and I made a few blocks. 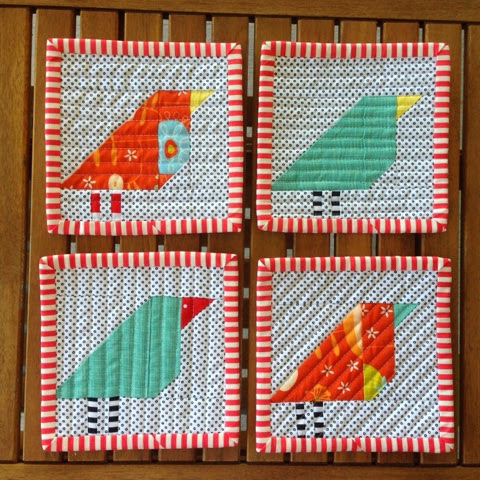 I didn't have time to commit to these birdies, so I made 4 and they became coasters. 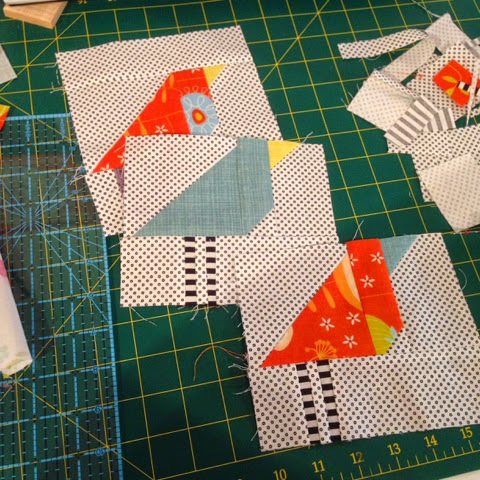 I love the quilting process. I played around with some heavy quilting, running in different directions. Fun, fun, fun! I'm at the school canteen all day today, and going to a Thermomix demo this evening. It's going to be a fun Friday. These are great - so fun! They remind me of a bird from a pixar movie, I just can't put my finger on which movie (old brain not what it used to be!). They'd be great as a bee quilt swap block. Hope you have a fabulous Friday! So cute..... I love their legs! I love those birds and the colors you made them in...cute! Oh these are so cute I want to make some myself! These are gorgeous Anorina! Sounds like you had the perfect day. these birds are SEW cute, I want to play in EQ with them now.